Whilst perhaps not as fickle as the fashion industry, the interior world’s trends are still in constant flux. 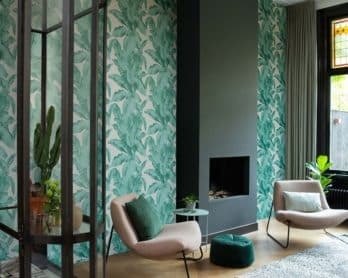 Trends do tend to stick around in the interior industry for slightly longer than in fashion however, with many trends morphing and adapting throughout the course of a few years whilst still remaining current. Good examples of this have been copper and pink seen in recent years. There is one standout look however which is better described as an interior phenomenon rather than a trend because of its presence in the industry over the last ten years. We are of course talking about grey interiors. Gone are the days when the key neutrals were beige or magnolia, with grey now reigning supreme as the base of choice. One of the most versatile colours in the spectrum, grey interiors are now cemented as chic staples in any discerning home with the hue a key element across numerous styles and looks. From the more up-to-date choice for neutral wall paint instead of the classic magnolia, to furniture and accessories, grey is an on-trend yet timeless colour for any space and can be used throughout the home. The versatility of the shade means that each space can take on a unique feel depending on what it’s paired with and the many different shades of grey leads to endless pairing options to ensure no room is ever the same. The perfect base for the vast majority of colours, grey interiors can form the foundation of countless interior looks and allow you to be as subtle or as bold as you dare. The popularity of grey as a neutral is linked with the rise of another huge interior trend of the moment, Scandinavian style, and these influences have seen a muted palette of grey, white and subtle pastel accents infiltrate every space from living rooms to bathrooms. Greys as neutrals also lend themselves to bolder shades just as much as softer hues. They are the perfect grounding contrast to a host of vibrant colours from burnt orange and red, to mustard yellows, teal blues and emerald greens. Dark interiors are also having their moment with inky navy and wine shades seen in sophisticated interiors across the globe over the last year which are perfect parings to paler greys. Grey itself can also be used as a statement shade in any room with the darkest versions of the hue such as charcoal or anthracite an eye-catching wall colour wherever placed. Grey interiors work particularly well layered with texture to really bring the neutral to life. Natural woods and stoneware are particularly discerning against grey and are key trends in their own right. From industrial concrete to opulent marble, stoneware in the home can complement a range of interior styles and can be implemented on a large scale through flooring and tiles or through accents such as planters or tableware. Wood is another key staple for the home and is represented through our furniture and flooring. The versatility of both grey and wood makes them perfect partners, with warm woods such as walnut and mahogany warming the often cool hue or paler varieties such as beech giving a crisp, Scandinavian feel. For the winter months, grey interiors and cosy furnishings go hand in hand; look for sheepskins, faux fur throws and chunky knits in a selection of complementing shades to infuse a sense of warmth. Grey shades frequently offer subtle notes of other shades which gives each grey its own unique feel. These notes subtly transform each shade and should be considered before opting for a grey interior scheme. Cool greys often have hints of blues or greens within them, making them ideal accompaniments to pale wood or darker accent colours. Purple tones are also seen within many greys such as cool stone or even Dulux’s Colour of the Year for 2018 which has a warm hint of heather called Heart Wood. You can find both cool and warm purple greys, which are fabulous for both those looking for crisp, clean looks or cosier settings. For those that struggle to leave behind the warmth traditional neutrals often provide, taupes frequently offer more grey hued varieties whilst the combination colour greige is also a timeless option for those that want the softness of beige mixed with the contemporary edge of grey.